Last updated 25 Mar 2019. Please use the information below for reference only as there may be changes that I am unaware of. Who is the Kungsleden for? Everyone who loves nature and a good hike! The trail from Abisko to Nikkaluokta or vice versa, where most people visit, is approximately 110km (70 miles) long, and can be spread comfortably over a week. Fairy tale like landscape, even when the weather is less than ideal. Love camping? There’re plenty of areas where you can pitch your tent and feel all alone in the wilderness. Hate camping/ carrying tents? Comfortably stocked huts run by the Swedish Tourist Association are spread throughout the hike, the distance between them ranging from 13 to 21km (8 to 13 miles). Shrubs at the lower parts of the Kungsleden. Like it more leisurely? Complete a hut distance a day, as I saw many elderly hikers did. There are some uphills and rocky terrain but nothing too much for a day. Like it a little faster? Pack light and complete the trail in 3 days, as I saw a trail runner did. The options go on forever, but as you can see, the Kungsleden pretty much caters for everyone who wants to be out there in nature and be one with it. 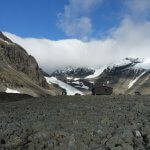 When are the huts open for hiking in summer this year (updated Mar 2019)? For 2019, the mountain cabins along the Kungsleden between Kebnekaise and Abisko (Singi, Salka, Tjaktja, Alesjaure and Abiskojaure) are open between 14 Jun 2019 and 28 Sep 2019. Full service is available from December to end of April and mid-June to mid-September but is limited in May, early June and from late September to late November. As for the other mountain cabins between Kebnekaise and Abisko that are not on the Kungsleden, Unna Allakas, Nallo, Vistas and Karsavagge are open between 20 Jun 2019 and 21 Sep 2019, Tarfala between 21 Jun 2019 and 23 Sep 2019, and Paltsa between 20 Jun 2019 and 15 Sep 2019. 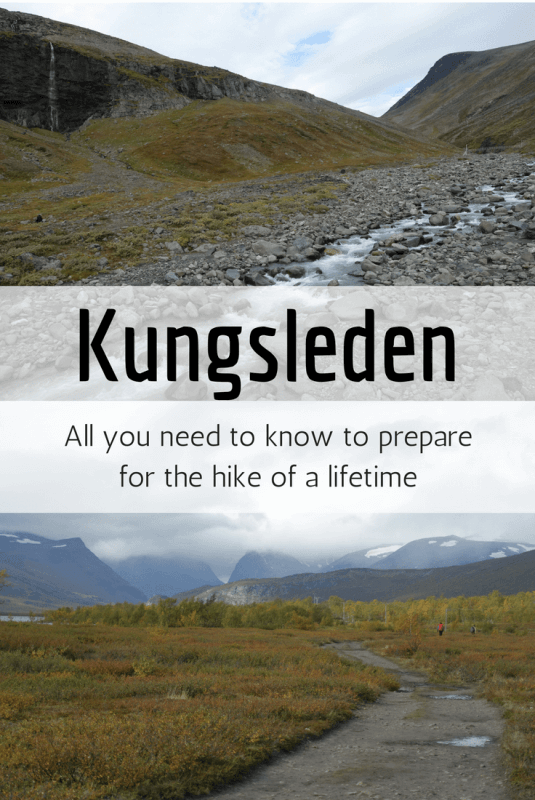 How long will I need to hike the Kungsleden? As earlier mentioned, the northernmost section of the main trail is approximately 110km, with 6 huts/ mountain stations between Abisko and Nikkaluokta. Taking a hut a day would total to a week. Skipping huts is totally possible too. I wouldn’t consider myself in top fitness but I skipped huts in order to make detours to Kebnekaise and Tarfala (Tarfala IS magical) and still complete the hike in a week. The minimum number of days (more than average fitness required, but not superhuman standard) would probably be around 3, completing about 35km (22 miles) a day. Have time for more? There are plenty of possible detours to stunningly beautiful landscapes throughout the trail, and you’d definitely not regret spending more time in Swedish Lapland. 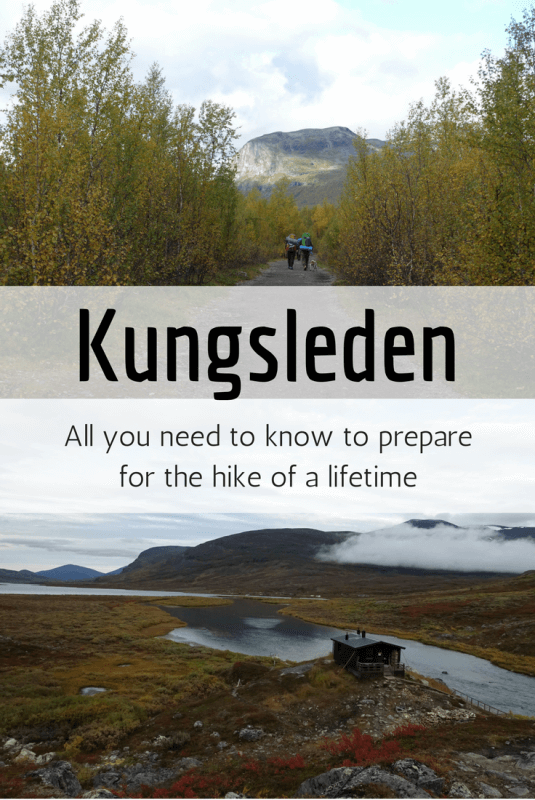 Do I need a guide for the Kungsleden? You will not require a guide to hike the Kungsleden. A guide may however add to the experience by providing additional tips and information along the way. If you’d like the time alone with nature, you’ll be glad to know that it is possible to do without a guide too. As explained below, main trails are generally well marked. No. Huts and mountain stations can be found throughout the trail at comfortably spaced distances. You’ll need to bring sheets/ sleeping bag as sheets are not provided. The sauna, or batsu, at Alesjaure Mountain Hut, down by the lake. The reception, bunks and toilets are in separate buildings behind me. Is there electricity at the huts along the Kungsleden? There are electrical plugs available at the mountain stations Abisko and Kebnekaise, but the huts between them have neither running water nor electricity. Fret not, as you’ll always be near one of the freshest sources of water on Earth, and there’ll be plenty of scenery to keep you busy. Are credit cards accepted on the Kungsleden? Surprisingly, credit cards are accepted at major huts along the trail, as long as there is enough sunlight to power the solar generators. Maybe not so surprising considering how Sweden leads in terms of advancing towards a cashless society. Enough sunlight can be a challenge though. I met a Swedish guy who tried to get breakfast with his credit card, but as there was not enough solar power then, he had to run to the next hut (over 10km away) to get breakfast instead. Is there mobile reception/ Wifi on the Kungsleden? None at all. A tiny bit at Tarfala just for one of the operators, to serve the research station there studying glaciers and climate change. Wifi, like electricity, is readily available at Abisko and Kebnekaise mountain station but unavailable at the rest. Hiking towards Kebnekaise Mountain Station, from Nikkaluokta, where the immense peaks start coming into view. Which bring me to the point on cooking. Gas stoves are available at all huts and water from nearby streams mean that you’ll most probably be able to cook almost anything you bring to the trail, without having to bring gas with you (not allowed to fly with those anyway, but you can get one at the shops for some outdoor cooking). Kitchen at Tarfala Mountain Cabin. Kitchens in the other cabins are similar. Nope, freshwater (apart from fresh air and breathtaking scenery) is probably the most abundant resource on the trail. Just look for clear, open streams, look around for possible sources of contamination, and if clear, drink up! A bottle would definitely be handy though for the stretches in between and to save having to leave the trail for the stream every time. Can’t get much fresher water. These flow straight from the glaciers at Tarfala. How do I get to the start / end? The nearest city to the northernmost section of the Kungsleden is Kiruna. Kiruna is about 1.5 hours away from Stockholm by flight, and a day by train. Between Kiruna and Abisko, you can choose between the bus and train. Check train schedules here. The arrangement seems a little different from when I visit in 2016, but it appears that you can get a ~6USD discount by pre purchasing your bus ticket online. Prices for one way range from 80-150SEK (~9-16USD) online, and 130-200SEK (~14-22USD) directly at the bus, depending on your age group. At Nikkaluokta, a popular start/end point of a Kungsleden hike. Nope. Though I did not pre-book my hut stays throughout the trail, I did not face any situations where bunks ran out. Even if they did there is an assurance that you would not be turned away. Not booking beforehand also allows for flexibility as to how long I want to spend on the trail and where I want to spend each day of it. (Update 8 Apr 2018) It is possible to pre-book accommodation at a mountain cabin and also a good idea if you’d like to save some money (it should be cheaper to prepay). For cabins between Kebnekaise and Abisko, there are 2 kinds of prepayments – one for cabins on the Kungsleden (Abiskojaure, Alesjaure, Tjäktja, Sälka, Singi) and one for those off the Kungsleden (Unna Allakas, Nallo, Vistas, Pältsa, Kårsavagge, Tarfala, Abiskojåkka). You basically decide the total number of nights you need at each type of accommodation, set a date, and get 2 weeks validity before and after your selected date. With STF membership it will be 350 SEK a night for cabins off the Kungsleden and 450 SEK a night for cabins on the Kungsleden. Just remember to bring along your booking confirmation as the cabins may not be able to verify your booking without it. You can prepay for non Kungsleden mountain cabins here and the Kungsleden mountain cabins here. Night falling over Alesjaure Mountain Cabin. Alesjaure is a popular base for people wishing to explore the nearby areas. Will there be others on the trail? Yes, but few and far between. When I was there in September 2016, I’d go for hours without seeing a single soul, then be ridiculously happy to see someone else passing, greeting every passing person like an old friend. Maybe it’s a common experience on the trail that we don’t need words to express. If you’re there during the Fjallraven Classic between 9 and 16 August 2019, prepare for a fully packed trail. The event sells out soon after release every year. Other hikers, few and far between, but never too far away. Yes. Most of the Kungsleden is generally clear and well marked (no signage but usually a red paint mark to indicate the right path). No water crossings are required as good bridges cross the water points. There is a segment around Tjaktja Pass that was a bit of an issue for me last year though. Thick fog covered the pass and visibility was at times less than 10m, and I nearly lost the trail on a few occasions, despite the red paint marks on rocks. Take precaution there or just stay the night at the emergency hut, if the fog gets too thick. Sturdy bridges across fast moving streams. Simple bridges across slower/ gentler ones. The emergency hut at Tjaktja Pass, in September 2016. Where are the huts and what are the possible detours? As mentioned, I chose to do detours to Kebnekaise and Tarfala. Kebnekaise is not really a good idea to go alone/ without snow hiking experience, but Tarfala is an absolutely stunning place, located on the shore of a glacial lake, facing glaciers on one side and mountains and a wide valley on the other. Other popular detours are to Nallo, Vistas, and Unna Allakas, all of which are around the Alesjaure/ Tjaktja area and all of which I’d love to visit some day. This page provides a comprehensive and detailed list of the huts in Swedish Lapland. Is there snow on the trail? There was plenty of it on Kebnekaise and at Tarfala in September 2016, but keeping to the main Kungsleden trail you shouldn’t have to cross any snow during the summer hiking season, except occasionally at Tjaktja, the highest point of the trail. Snow on the way to Kebnekaise. I was absolutely terrified, being alone and not having much experience with the snow, and would strongly advise against making the same mistake of underestimating how fast weather conditions can change there. Mountain huts along the Kungsleden cost 520 SEK (60 USD) a night, or 420 SEK (48 USD) with STF membership. Huts not on the trail (e.g. Tarfala) cost 460 SEK (53 USD) a night, or 360 SEK (41 USD) with STF membership. STF membership can be obtained at the mountain stations (Kebnekaise and Abisko) for 295 SEK (34 USD), and as you can easily work out, you’d get back the cost of the membership with 3 nights on the trail. STF membership will also grant you access to use the kitchens at the huts along the trail, even if you’re not staying for the night, which would be really useful for a lunch stop if you’re planning to complete 2 hut distances in a day. More details on pricing of huts here (Mar 2019 update: This is an old price list. Haven’t found the latest offline prices for the huts but they should have risen since 2017). That’s basically all the necessary costs of the hike. I can’t remember to exact price of meal packets where you can just add water and have a full hot yummy meal ready, but I think they’re in the range of 100-200 SEK. There might be some clearance items on offer which can be quite a bargain in the mountains. (Update 8 Apr 2018, seems to be same for 2019) Current rates for online prepayment (cheaper way to pay for cabins) of accommodation along the trail are 350 SEK a night for mountain cabins not on the Kungsleden and 450 SEK a night for mountain cabins on the Kungsleden. Dorm beds at Abisko are at 395 SEK while those at Kebnekaise range between 655 SEK and 805 SEK depending on travel dates. A closer estimate of total cost of accommodation (instead of 2940 SEK) would be 655 + 450 X 5 + 395 = 3300 SEK as of 8 Apr 2018. Refer to ‘Do I need to pre-book accommodation?‘ section on pre-booking accommodation. You’ll definitely be able to save a chunk of the cost of the hike by camping out at least on some nights with good weather. There’s a gas powered drying room (torkrum) at the mountain cabins along the trail, sufficient to dry up shoes and clothes should they get wet during the day. As such, it is possible to get through the trail with just 2 sets of warm, comfortable clothes, a set to hike in, and a set to sleep in. Same with shoes, a good pair of hiking boots for rugged terrain with snow grip, and comfortable footwear for use at the huts/ to the sauna while your boots dry in the torkrum should they get wet during the day. Speaking of which, a towel can come in handy! Make use of the wood fired saunas that can be found in many of the mountain cabins on the main Kungsleden trail to freshen up and soothe those tired muscles after a long day. Check the timings though, there is usually a women’s session, a men’s session, and also a mixed session, each for about an hour and a half. Of course, bring toiletries along to to keep fresh throughout the hike. Sheets/sleeping bag are essential for hygiene purposes as there are no sheets at the bunks, though beds are comfortable enough. Never forget your torchlight/headlamp, as there is no electricity along the trail and everything is absolutely pitch black once the last bit of sunlight slips behind the mountains. A lighter or matches can also come in handy, as there are wood fireplaces in the bunks and matches are not always available. Learning to start a wood fire can be very useful, but I learnt it the long way on the trail, first looking at an experienced Finnish man do it, and the next day spending hours attempting to start it myself (and accidentally finishing up quite a bit of wood). If you don’t intend to spend lots of money on food bought along the trail (they cost much to bring in, given the inaccessibility by roads), don’t forgot food! Easily cooked, high energy, lightweight stuff like oats make a good choice. You can add some flavour to your oats with wild blueberries or lingonberries, which can be found in many places along the trail. Be sure that your food is not just purely functional, but also taste good enough. You wouldn’t want to end off a full day tiring hike with some bland tasting (or worse, foul tasting) food. Make full use of the stoves and pots available to make every meal more enjoyable, and don’t forget to do your dishes! Other essentials: cash/ credit card (to pay for the huts/ food), map (can be bought at Abisko or Kebnekaise Mountain Station), good hiking backpack, raincoat/ waterproof jacket and rain pants, camera and sufficient batteries (or just soak in the view), water bottle, mug, enough underwear and socks, books or some comfort items (e.g. earphones to listen to music), a positive attitude, and you’re all set to have the most memorable time on the trail! Typical fireplace in the bunks at the cabins along the Kungsleden. These wooden planks are the easiest to walk on. Any other questions you have about the trail that I didn’t cover? Drop me a message in the comments below! Hi there, thanks for all the info. Planning to complete the whole trail this summer, but was wondering if you think its necessary to get the TBE vaccine? Also, as you went alone, did you use personal locator beacons, or is it unlikely to get into difficulty making them unnecessary? Hi Joshua, thanks for visiting and glad the info is useful. Unfortunately I’m not sure about TBE vaccine as I did not get the vaccine. I just went to read up a little and it seems that TBE affects the southern parts of Sweden more. I’d think that if it is just between Abisko and Nikkaluokta it might not be necessary, but you should definitely get an expert opinion on this. Regarding your second question, I think it is unlikely you will get lost if you’re hiking on the main trail between Abisko and Nikkaluokta. The trail, while not always well marked, is well trodden, so it is quite visible. Vegetation is short at this latitude so you can usually see the next cabin hours before reaching it, making it less likely that you will get lost. Something I can think of that might get you into a difficult situation/ off trail is poor weather or nightfall. There are emergency huts (usually around midway between cabins, unmanned but with firewood and a fireplace) along the way which I’d recommend using in case of bad weather or poor visibility, it is possible to stay the night there (with the appropriate sleeping bag). Getting lost in the dark shouldn’t be an issue as long as you ensure there is sufficient time before setting off to the next check point, as the spacing between cabins is comfortable. I nearly missed making it to the next cabin before nightfall twice due to poor estimation (or very good estimation depending on how you look at it haha). That said, a map would still be essential, and any additional equipment for personal safety, if not too inconvenient, is a good idea. Hope you’ll have an amazing time, and please let me know if you feel there’s other information I should add here! Absolutely great summary, thanks for sharing your thoughts. You actually saved me a huge headache mentioning that hiking event mid august, because I was planning hike in that timeframe. Which leads me to my question: do you know if prebooking the huts is neccessary if you go there early August? What happens exactly if the hut is full when you arrive. Hi Istvan, glad you enjoyed the article. I think the cabins should not be affected by the Fjallraven Clasic, as participants are not allowed to sleep in the cabins (http://classic.fjallraven.com/sweden/camping/). From what I’ve read, you’d not be turned away even if the huts are full but instead provided with a mattress to sleep on the floor in the cabin. However, if you wish to prebook for a peace of mind (and save some money), you can simply book accommodation for a set number of days on the Kungsleden, and these bookings can be used at any hut along the Kungsleden (between Abisko and Nikkaluokta) from a period 2 weeks before till 2 week after the selected start date (https://book.stfturist.se/en/to-do/a1137116/accommodation-in-a-mountain-cabin/showdetails). Let me know how it goes! Hi Luca, yup that is absolutely possible. I did not book my accommodation on the Kungsleden beforehand, and no guides/ pre-arranged permits are required. Thanks for dropping by! We are hiking trail in late Aug.
Do we need sleeping bag for huts or just liner? Are there blankets on bunks? Hi Aaron – very informative thank you. I was planning on hiking the Abisko to Nikkaluokta from 16 – 20 Sept, however I did not anticipate hut closures before the end of Sept. As such I have now emailed the STK to get confirmation of hut opening and closing dates. Good shout!! Hi, I am a student from Germany who wants to complete the Kungsleden this summer. I have some decent hiking experience from hiking in the Himalayas. I plan to hike solo. But my major concern is that hiking the entire 440 kms will take more than 2 weeks and there is no way I can afford the ~50 USD per night at the huts. If I have my own camping equipment, do you think I can avoid the huts altogether? The cost of the huts is prohibitively expensive for me. I am seasoned in pitching my own camps. Please let me know your thoughts! Awesome article by the way! Yup I agree that the huts don’t come cheap! From my experience it is possible to skip the huts altogether as you can camp along the trail (there were hikers doing). There’s a really cool law in Sweden protecting the right to camp (https://visitsweden.com/about-the-right-of-public-access/)! At some parts of the Kungsleden, especially at higher elevations (eg Tjaktja, Tarfala), it might not be a good idea to camp as the conditions can be harsh. Glad that you enjoyed the article and have fun on the hike! I just discovered this trail today when looking for a new long trail to hike in Europe. Fantastic summary by the way and I do have two questions that would be wonderful if you know the answers to. 1. Do you know if dogs are allowed on the trail? 2. And, are there places to hang hammocks throughout the trail? Those are pretty much my only requirements for picking a new trail to hike, hoping the answer is yes to both! 1. Yes, dogs are allowed on the trail and cabins have separate rooms for hikers/runners with pets. From STF’s facilities page it seems that pets are allowed on most if not all of the cabins on the trail https://www.swedishtouristassociation.com/discover/?facilities. I came across hikers and runners with their dogs on the trail, though it was not common. 2. I’m not too sure about that though, as the most of the trail from Nikkaluokta to Abisko is quite barren (except the part near Abisko). Thanks very much for the summary and advice. I am interested in doing the hike at a leisurely pace, 1 hut a day, this July with my 12 year old daughter. I was thinking about joining an organized tour, but they are all giving a minimum age of 16. I am not sure this is because of the social nature of the tours (oriented towards adults only), or if it is too physically demanding for a 12 year old. I like the idea of the trail because it does not seem too difficult, we can skip carrying a heavy tent, and know that we are guaranteed a space in a hut any night. It really seems that we could just fly/train in and pretty start right in. Is this reasonable to do with my daughter? Thank you very much for your kind words. I do not remember seeing many children (at least 1 from memory) on the Kungsleden but I think if your daughter has done some hiking before the trail may be manageable. As you’ve mentioned, the trail is generally comfortable (except for some rocky sections and the occasional short uphill stretches) and you can do without carrying a heavy load. However the northern section of the Kungsleden it is still approximately 110km/70miles over a week, so the fatigue may accumulate. That may be something to consider. If you’ve more time on your hands taking extra nights at a hut you like might be a good idea too, to recharge and to enjoy nature! Great information. We’re wondering if it’s possible to hike any part of the trail in March? We’ll be in the northern part of Sweden from March 22-March 27th and we’d love to do some of the Kungsleden. I think there would still be much snow on the trails in March and might not be a good time to hike. I’m not entirely sure if there are parts that are ok to hike during that time so you might need to check with someone on the ground there. From what I understand weather conditions vary wildly from year to year too. (E.g. in 2015 the snow didn’t clear at Tjaktja for the entire year). Looking at weather trends, seems that the average temperature stays below freezing till May and the snow stays till June. It might be possible to walk around Abisko. 1) How was the weather? what was the temperature? 2) Is easy to lost the track? How is it marked? 1) When I visited in September 2016 the temperatures along the trail was about 0-10 degrees, with a little rain on some days, nice sunny days on others, and strong winds near Kebnekaise area. There was no snow along the main trail during that period but it got very foggy around Tjaktja pass. 2) There were not many signage along the trail then, but it is quite easy to identify the main trail, either from the wooden boardwalks, the red paint marks on rocks, or a much more clearly trodden path. The closest I got to losing the trail was at Tjaktja during the fog, where visibility was probably less than 10m and I could barely find the red paint marks on rocks. As most of the main trail between Nikkaluokta and Abisko is in a wide open valley with low vegetation it is not so easy to get lost. Thanks for the information, those are definitely very useful! I am going to hike the pass this July, I’ve just bought the airplane tickets. What do you think is it recommended to buy the bus tickets in advance (online)? May it happen that I will be left in Kiruna without it? Thanks for your reply in advance! I hope you all the best! Glad you’re going to do this hike! I think if you’ve got the dates confirmed it might be a better idea to buy bus tickets in advance as there is a discount for purchasing online (in addition to securing your seat). I’m not sure if there is a chance you’ll be left in Kiruna without buying tickets in advance. During my trip in September 2016 the bus was quite empty, and it was not possible to buy tickets in advance then. Enjoy the hike and thanks for visiting! hi Aaron, Thanks for an excellent post. I am hiking from Abisko to Kvikkjokk this July and I have given myself 9 days to do it (roughly 13 miles a day). I was planning on staying on Kungsleden throughout but you have mentioned a detours to Tarfla, Nallo, Vistas, and Unna Allakas. Hi Arun, thank you for visiting. I’d only be able to accurately comment on Tarfala as it is the only one I’ve visited out of those options. Tarfala is possible as a day trip (although I stayed for 2 nights) from Kebnekaise Mountain Station (10 miles round trip). While I was at Tarfala there were a couple of people each day who arrive from Kebnekaise Mountain Station around midday, have a break then head back to Kebnekaise Mountain Station. I may be a little biased in saying that there’s nothing quite like Tarfala. The next most popular option seemed to be Unna Allakas, which you can do as a detour between Alesjaure and Abiskojaure huts. This would allow you to visit Unna Allakas without adding too much mileage (10 more miles). For Nallo and Vistas, there is a possibility to skip Tjaktja altogether and connect between Salka and Alesjaure via Nallo and Vistas, which was one of the options I had considered. This would add just 7 miles compared to the main trail. There are other trails that add more options to these huts (eg Tarfala to Salka/ Vistas, Nallo to Tjaktja, etc) but these trails may be more difficult and less safe. Based on my limited knowledge, for a balance between scenery and mileage I’d recommend in this order 1) Tarfala 2) Nallo + Vistas 3) Unna Allakas. Fantastic information, thanks. As Grand Poohbah of the Arctic Brotherhood (www.arcticbrotherhood.org), I am researching ideas a trip above the Arctic Circle. Since 2005 we’ve done 17 adventures from Alaska to Patagonia and everywhere in between. Our group of guys are fit but are aging and we are looking to a final big, physical trip before we start scaling it back. The notion of going above the arctic circle is a big goal. However, we still want to see spectacular backcountry. Your information here was outstanding and this may be the place that delivers both. Wow I do hope to be able to get on as many adventures as you guys some day! Thank you very much for your kind words. I think the main trail is manageable physically but there are some detours that can offer a good challenge and great views. Hope you’ll have an amazing time exploring the area! Hi! I had a great time reading your journey! Thank you for sharing your experience! I am very interested in hiking the Kungsleden this year (since I will be in Sweden for work), more particularly from Hemavan to Ammarnäs, though I have a question : do you think it’s possible to hike during May (from about 16th of may)? Will the huts be open? How about the weather? Thank you for your answer, and again, thank you for this post!! For 2018, it appears that the huts between Hemavan and Ammarnäs will be open from 21 June to 30 September, while Hemavan Mountain Station should be open all year round. More detailed information on the huts between Hemavan and Ammarnäs can be found at https://www.swedishtouristassociation.com/learn/our-accommodation-types/stay-stf-mountain-cabin/ under KUNGSLEDEN VINDELFJÄLLEN, and information Hemavan Mountain Station can be found at https://www.swedishtouristassociation.com/facilities/stf-hemavan-mountain-station/. Weather may still be cold, around 5 degrees Celcius on average in May according to https://www.yr.no/place/Sweden/V%C3%A4sterbotten/Hemavan/statistics.html and https://www.yr.no/place/Sweden/V%C3%A4sterbotten/Ammarn%C3%A4s/statistics.html. It might be a better idea to schedule your hike later in the year, nonetheless hope you’ll have a great time. Cheers! Hi Colin, glad you enjoyed the writeup, and hope you’ll have an amazing time on the trail! I am thinking about hiking The Kungsleden from mid-July to early August.. I would like to ask you, in case if you remember, what was the level of waterproofing ( in mm) and breathability (in mm) of your jacket. Do you think rainfall is a serious problem and it is advisable to invest in a good waterproof jacket? Thanks for all the precious information in your website! What are the temperatures like during summer months? The temperatures in summer should be around 5 to 15 degrees Celcius (41 to 59 degrees Fahrenheit), a little warmer towards the south (Nikkaluokta). Thanks for sharing your experiences and all that info so helpfull thanks again.. I plan to hike from Abisko to Nikkaluokta in early July. My question is. Are boots needed and neccessary? or can i hike with trailrunners with out problems? Hi, thanks so much for writing this blog, its been really useful! I’m going to take your advice and go to Tarfala. Thank you for your kind words, and hope you’ll have a great time! Hi, I will be hiking the trail with my 12 year old daughter in the next couple of weeks. I will be finishing at Nikkaluokta. The last boat trip we can make across lake Ladtjojaure is at 215pm, since we have to be on the 450pm bus trip back to Kiruna. How long do you think we need to hike that last leg to the lake by 2pm? I want to make sure we leave early enough in the morning from the Kebnekaise mountain station. I’m not too familiar with the boat and did a quick lookup, it’s 19km between Nikkaluokta and Kebnekaise, approximately 5km between Nikkaluokta and Ladtjojaure and 6km across the lake, so I suppose it is about 8km from Kebnekaise to Ladtjojaure. At a really comfortable pace of 2km/hr that should be about 4 hours. I think you should be able to complete it in less time than that as it is a gradual downhill/ flat. But I am not 100% certain that it is 8km from Kebnekaise to the lake though, you may want to check with the company doing the boat trips at [email protected]. Alternatively at Kebnekaise the staff there should definitely be able to provide information on that. If you find out more information about the boat trip please let me know. Thank you! How many hours of walking each day if need to complete in 4 days. Nikkaluokta to Kebnekaise – 19km (7 – 9 hours) – Easy. Kebnekaise to Singi, Singi to Salka – 12km + 14km (8.5 – 13 hours) – Easy. Alesjaure to Abiskojaure, Abiskojaure to Abisko – 21km + 14km (12 – 17 hours) – Downhill to Abiskojaure, flat to Abisko. I completed this in one day, leaving early in the morning and arriving just before it got very dark (did it in September, will have more daylight hours in summer). The last 2 days are likely to be the more tiring one, 3rd because of the uphill and 4th because of the distance. If you’re very fit you’ll probably be able to complete the distances in less hours than described. Also possible in reverse. Thanks a lot for your insights. With a friend I am planning to hike the Abisko Nikkaluokta trail mid September. We were wondering if there are other options to reach Kiruna from Nikkaluokta then the bus? are taxis available? would you know the costs approximately? We will walk the Kebnakaise to Nikkaluokta part of the trail on the Friday and we have to be in Kiruna that same evening (otherwise we miss our flight on Saturday in kiruna in the morning). I am afraid we will miss the last bus at 4.50pm. I’m not 100% certain, but I think you can call for a Kiruna taxi when you arrive at Nikkaluokta (or when you get cellphone reception), though it is likely to expensive. From the Kiruna Taxi page (http://taxikiruna.se/priser/), there isn’t a given price for Nikkaluokta to Kiruna (70.3km), and the longest trip with a listed price is Kiruna to the Icehotel (18.7km) at 495 SEK (48 EUR/ 56 USD), so I guess the price for Nikkaluokta, if available, will be significantly more than that. You can confirm the prices with them at [email protected] or 0980-12020. From this forum (https://www.utsidan.se/forum/showthread.php?t=86102) it is suggested that the Airport to Nikkaluokta by taxi is 1300 SEK (125 EUR/ 146 USD) so I suppose the reverse might be similar. I think if you leave early from Kebnekaise perhaps at 7am or earlier you should have more than enough time to arrive at Nikkaluokta before the last bus. If you happen to find out more about the taxi/ prices please let me know so that I can share the knowledge. Thank you! Thank you very much for the info, it’s very useful. We are a couple considering taking the trail, we have around 3-4 days, it is possible to hike only part of it? if so, which part would you recommend? We are not in the best of shape..
Amazing blog – very informative. Can I ask how easy it was to communicate: English is my first language and I speak a little French and Spanish but no Swedish. Also I want to do the the whole trail to Hemavan- do you know what cheapest option of travel is from Stockholm to Abisko and back from Hemavan. Finally is it worth joining Stf if I plan on camping all the time beside huts and do they sell screw on camping gas cylinders. There’s no problem getting around with English, as most people speak English in Sweden. I think the cheapest mode might depend on when you’d want to travel. I did a quick search for trains from Stockholm to Abisko in the coming weeks the price appears to be in the range of 50-90 pounds (17 hours). The price range for flights from Stockholm to Kiruna (nearest to Abisko) fluctuate more wildly though, I’m seeing prices from 35 pounds up to 300 pounds (1.5 hours). According to this site (https://lapplandspilen.se/) you can catch a bus from Hemavan to Stockholm for 700 SEK (~60 GBP). However it appears to depart on Thursdays and Sundays only, at 5pm (17:00), taking 14 hours to reach Stockholm. I think you will be able to purchase screw on camping gas cylinders at only a select few of the mountain huts/stations, and they might cost more than in the city. It may be a better idea to purchase them in the city (e.g. Kiruna) before starting your trip. More details on what you can purchase at the mountain shops. If you are planning to hike for a long period of time (which seems to be the case, from Abisko to Hemavan), it may be a good idea, as the relatively small price to pay for the membership will allow you to use the facilities along the way. There is also a service fee if you are camping beside an STF facility (huts or otherwise), and members get a discounted rate too. More details on STF facilities here. And more details on prices for visiting/ camping beside a mountain cabin. Hi, I’m traveling the Nikkaloutka to Abisko segment this September and I’m very confused about the clothing. What kind of outer layer should I use? A hard shell? And if so, of what quality? Will 150$ one will do? Or do I have to invest more? Hi Idan! It’ll be better to have a waterproof layer as it may rain in September. It depends on what you can get with $150. I don’t think you’ll need an expensive one as the weather shouldn’t be too harsh on the main trail. What I use nowadays is a warm inner jacket (-5 to -10 degrees celcius, a little extra allowance to feel comfortable) and a light raincoat, which together cost under US$70 in Singapore (from Decathlon). A similar set up should be sufficient until the end of the summer hiking season. I’m planning to hike the northern part of the trail : Abisko to Kvikkjokk around mid September to complete my last journey done a few years ago (I went from Hemavan to Kvikkjook). First question : do you think it is better to start in Abisko and go south or Kvikjokk and go north ? Second question : is it possible to do all by walking or will I need to take a bus ? Also are there any boatmen you need to call to cross lake (it was the cas near Kvikkjokk) ? Last question : will two weeks be enough (or too long / short) ? For your interest it took me two weeks to do Hemavan – Kvikkjokk. Some people start from the north and head south to enjoy the sun in their face, while others try to avoid that. I did south to north as transport out of Lapland via Abisko is more convenient and so I’d have greater flexibility in doing the trek without worrying on reaching at any specific day or time. However it may be colder as you head north especially late in the season, so that may be something to consider. When I did the hike 2 years ago it felt like there were less people heading south (still were some people though), so the crowd may be something you’d want to think about too, though in September I think the crowds should be much lesser. Regarding your second question, I’m not too familiar between Kebnekaise and Kvikkjokk as I only did the part northwards from Kebnekaise. However I believe you will be able to complete the entire trail by walking and with some boat crossings. 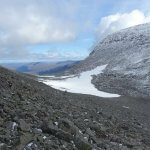 This page has excellent information on the crossings that are required between Kvikjokk and Kebnekaise (https://www.swedishtouristassociation.com/learn/boats-in-the-mountains/). For your third question, I think it will be enough, but possibly a little rush. As mentioned above I have not done the section between Kvikjokk and Singi, but it appears that 1 week should be just right for a hut a day. 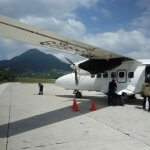 Northwards of Singi you can complete it in a week by doing a hut a day, and that should be relatively comfortable. If you’re in a hurry Singi to Abisko to can be done in as short as 3 days (super rushed, I wouldn’t advise it). So 2 weeks should be enough to complete the trek. Hope these are helpful, and enjoy the trail! This is an excellent resource! Thanks for your efforts. We have booked our flights to Narvik Friday 17th & will be begining the Kungsleden in Abisko Saturday 18th August heading south to Hemavan. Thanks Tegan, glad this has been useful. I’m not too familiar with mobile coverage but from what I understand 2 years ago, there was zero coverage for almost all of the areas I went to except for Tarfala where there was limited reception for one company. I can’t remember which but it might be Telia. There was however Wifi at Kebnekaise Mountain Station (and possibly the other mountain stations). For the limited areas with connectivity Telia might be the best bet. You may have come across this page, but if not, I think it has the stuff you’ll need on calling for boats (https://www.swedishtouristassociation.com/learn/boats-in-the-mountains/). All the best for your trek! I’m interested in the Kungsleden both as a hiking route but also as a skiing trail in the winter. Do you know anything about skiing the route? Thankyou for your helpful article. Unfortunately I’m not familiar with skiing the route, but yes as you mentioned skiing is possible in winter. Hope you’ll be able to find the information and have a good time! Hello there 🙂 I am also planning to go to Kungsleden in September. I will travel with my tent and I’m going to stay in random places on the trail, but my question – do there is showers in cabins (I read about sauna) Can I use a sauna and shower, if I’m not staying in a cabin and how much it could cost? 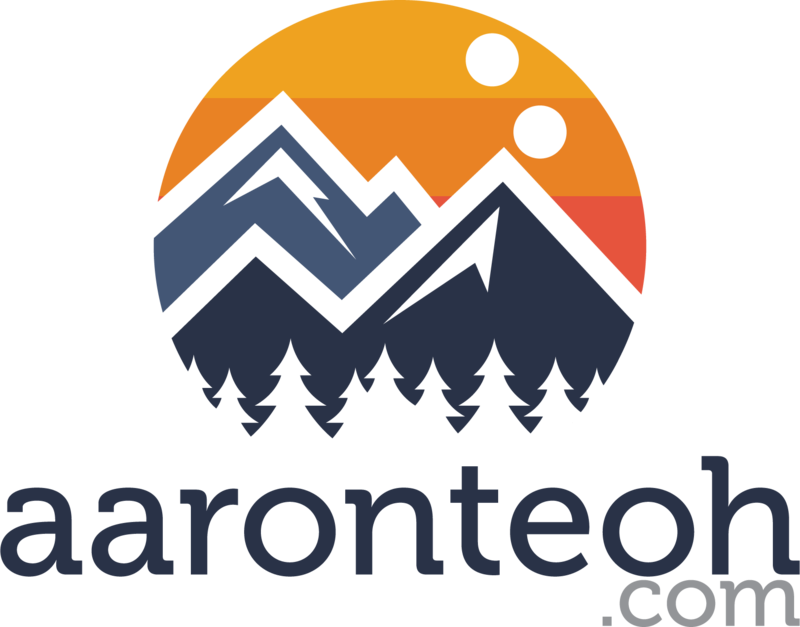 Thank you for all advices Aaron, what you have given here, I found them very useful! I’m not sure about the sauna exactly, but if you are a STF member you’ll be able to use the cabin facilities such as the kitchen, toilet and drying room for a couple of hours in the middle of the day for free (https://www.swedishtouristassociation.com/learn/our-accommodation-types/stay-stf-mountain-cabin/). For non-members the use of these facilities is 100 SEK. There aren’t specific shower rooms at the cabins (only at mountain stations) but there is heated water available (in a big container) at the saunas. Do let me know how it goes, and have a good trip! I am planning to go to the Kungleden. But I have a question; when you start for example in Abisko and finish in Nikkaluokta, are there going busses from Nikkalukta back to Abisko? Or do you have to hike back to Abisko? Thank you for all the advices. I found them very useful! You can take the bus from Nikkaluokta to Kiruna after ending your hike at Nikkaluokta. In the summer season in 2018 it seems that there are 2 such buses a day, one around 11:50 and the other 16:55. Thanks for reading! Hey Aaron, wanted to thank you for your excellent post on Kungsleden. We took our three year old on it this summer just gone. Didn’t quite make it but not through want of trying. We also went to Tarfala which was stunning. Have a look if you’re interested (http://www.journeysetc.com/?p=1791) and thanks again. Just one question: If I only sleep in tents and not in huts, do I have to pay to hike the Kungsleden or do I only have to pay for eating and drinking? Hi Lara, thanks! There are no fees for hiking the Kungsleden. For pitching tents as long as you are not pitching within the immediate surroundings of cabins there should not be any charges too. It’s related to Sweden’s Freedom to Roam laws, which are really cool! Have a good hike! thanks for all the info on the kungsleden. I plan to hike the northern part from abisko to nikkaluokta. I looked at https://www.macsadventure.com/holiday-1888/the-kungsleden , but it is not possible to book this trip as a solo hiker. – Did you really use your map? – Did you buy the map at Abisko? Thank you again for the work you have put in to this page! Hi Alina! If you’re keeping to the main trail it might be possible to skip getting a map. Alternatively if you have some offline map app for your phone that should do too. I used the map mainly for checking that I was on track, to estimate how far I had to walk to the next checkpoint, and roughly check which side of the valley/river I should be on. Also as I had originally planned to take a side route I was using the map to check how that would work out. I got my map at Kebnekaise Mountain Station but I think you should be able to get it at Abisko too. Just dug out my map, it was 159 SEK in 2016 (approx 17.5 USD/ 15.5 EUR). If I did not remember wrongly there was only one map that covered the hike. If you are considering to skip getting a map, I think the best bet would be an offline map app. That would also have the added advantage of working in bad visibility. If you are an experienced hiker with a decent sense of direction, you may consider not getting any (might be risky). I think there should be other hikers along the way at the time you’re hiking so you should be able to see which way is the right direction. We’re a family with four children (between 11 and 16 years old) and we’re planning to walk the Kungsleden in august. The Flellraven Classic will be organised on august the 9th untill the 16th. How can we avoid this massive event? Is there an alternative route? Or is it enough to leave on the 6th of august? Hi CHristophe! Thanks for dropping by 🙂 It seems that the Fjallraven Classic has start groups from Nikkaluokta from 9, 10 and 11th August this year, so if you’re also heading from Nikkaluokta to Abisko, you should be able to avoid the crowds if you start your hike on the 12th or later. Alternatively leaving on the 6th or earlier should be fine but I’m less sure, as I know that there are people who are able to complete the route in 3 days so if there are many such people the second part of your hike may get a little crowded. Unfortunately I do not have experience with the Fjallraven Classic to be able to advise on more details on the expected pace of participants. These are the more well known detours that may help you avoid the crowds on the main trail (if it gets crowded).